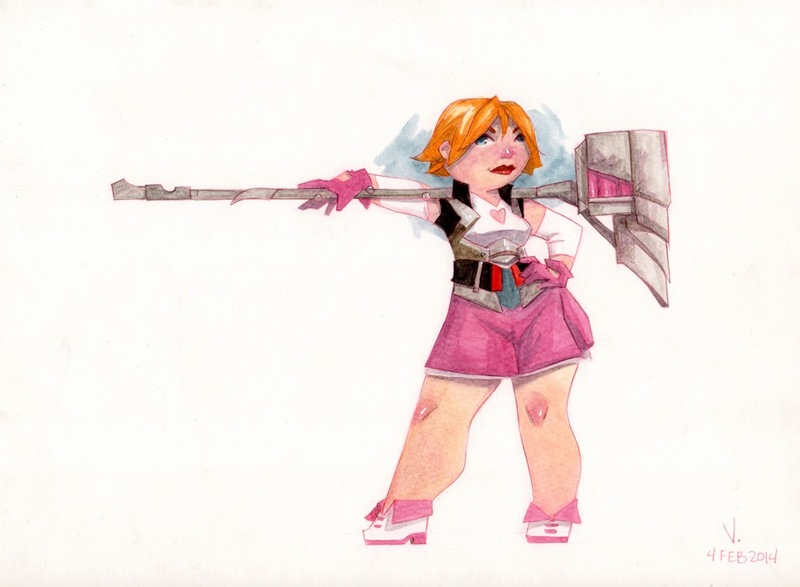 I promised to draw Nora Valkyrie -- a character from a web series titled RWBY -- for one of my friend's daughters if she got caught up on a comic project she's doing for school. 9" x 12". Watercolor on paper. Back in November I had an opportunity to show some small paintings at a coffee shop here in town. I was fortunate to share the show with a dear friend of mine. 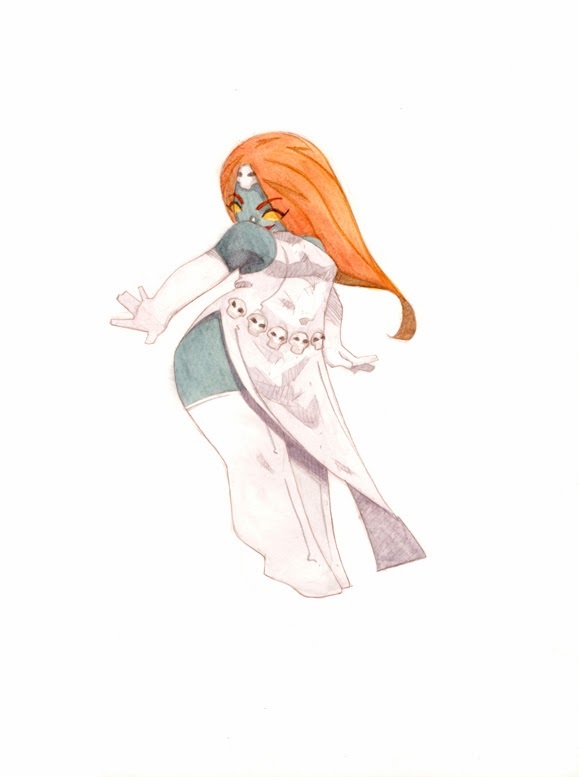 I honestly can't remember how we both wound up doing super hero pieces (I think it just wound up that way) but in the end I did twelve small watercolors -- six from the Marvel universe and six from the DC universe. 8" x 10". Watercolor on paper.